Construction of five four-bedroom houses and a new communal laundry room and facilities. 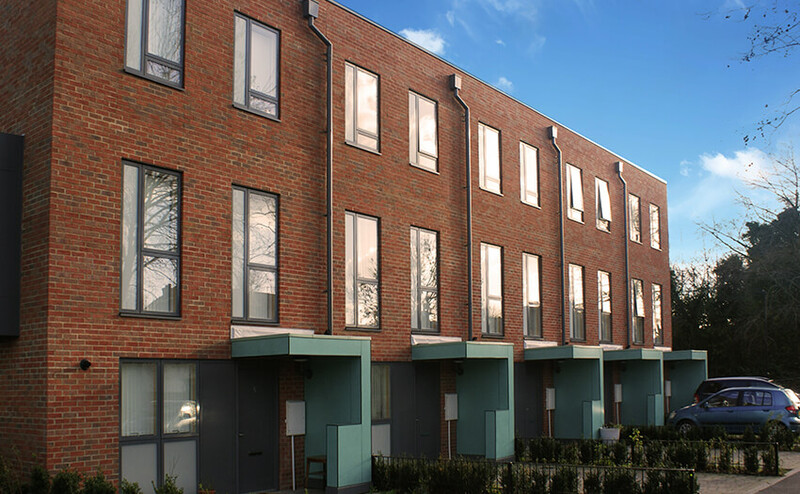 Refurbishment of a 27-unit block, which required the demolition of the existing stairs and bin area and the installation of a new stairs, lift, door entry system, bin enclosure (with cycle storage) and road. Neunie Associates provided the strategic project management overview and advised on procurement and potential risk outcomes. Preston Neunie was the client representative's lead officer in conjunction with Hunters, the employer's agent. One of the major challenges that we had on this project was the fact that part of the site was on Network Rail land and opposite a live track. This required significant utility diversions, as well as liaison with the planners and other statutory authorities. The project cost increased due to the level of unexpected changes and the quality of information that was provided at the time prior to tender, however, this was accepted and the learning from Phase 1 was used to set the standard and expectations for the other phases of work. We managed to reduce the risk of potential costs in the region of £250,000. Worcester Court 27 unit block with new retrofit balconies, new lift and access. Residents of the block were temporarily rehoused to enable a full strip of the building and demolition of the stair core. 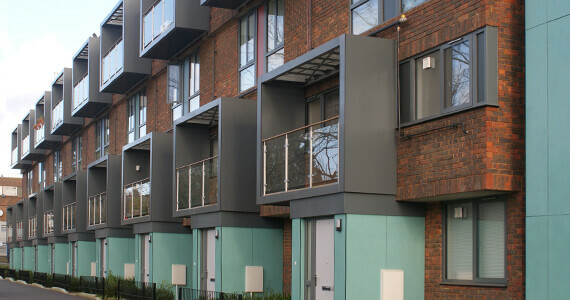 Significant structural changes were then made, including the installation of balconies and a lift. The project was a success. Residents moved back to a beautifully refurbished flat and more spacious landscaped environment with a new access road. The Final Account was agreed and accepted by LBE. The footprint was now established for the further 13 blocks to be refurbished. Our services as strategic advisors and project management enabled the first phase of the redevelopment project at Copley Close be realised.